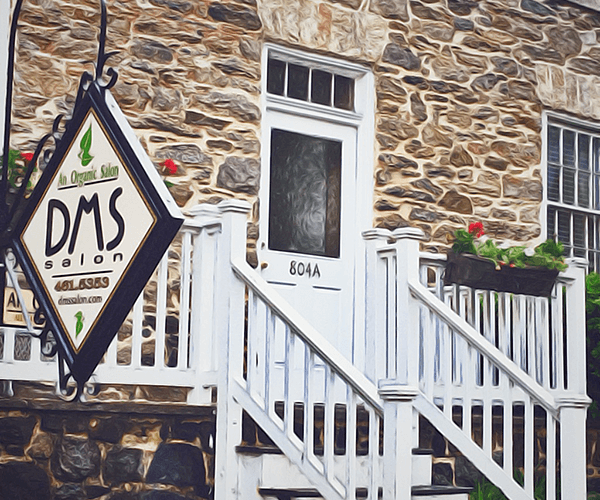 Welcome to DMS salon – Ellicott City’s original organic salon. There’s no one that knows your hair better than you. When you’re completely comfortable with your style, you’re the best version of yourself – and that’s our goal at DMS Salon. We want you to intimately know your hair and help you easily feel your best in it every day. As experts educated in hair artistry, we understand the characteristics of each hair type – their movement, shape, form and texture. Whether you have curly hair with its romantic and soft fullness, wavy hair with breezy and playful movement, or straight hair with killer sharp edges, we’re trained to use colors and cut styles that bring out the natural beauty of your hair. We use only the best non-toxic, environmentally sustainable and cruelty-free products to protect your hair and give you peace-of-mind in your haircare choices. We’ll restore your hair to its most radiant condition while you relax and rejuvenate in our cozy boutique salon atmosphere. We’re here to collaborate with you on current trends and fresh takes on classic looks, and we know the healthiest and safest product innovations so you can step out confidently into the world. It’s all about beautiful hair, beautiful you. Click on the logo to learn about any of our featured product lines. All services at DMS salon include a complimentary consultation, where we will determine the total pricing based on time, complexity, and amount of product used. We regret that we cannot provide price quotes over telephone or email.